If you are looking to invest your IRA money in something other than the stock market, the “self-directed real estate IRA” may be for you. A “self-directed real estate IRA” is really not a special type of IRA, but rather a way of investing in your IRA. All IRAs are self-directed, but the custodian you pick for your account may limit what your choices of investment are to stocks and mutual funds. If you switch custodians to a smaller, boutique firm that allows you to invest in real estate, you can direct your funds into real estate investments. What can you buy with a self-directed real estate IRA? You can buy single or multifamily housing, commercial or residential, improved or vacant lots, even do loans secured by real estate. You can buy tax lien certificates or tenant in common interests (TICs), and even partner with others to buy real estate. The IRS has very few limits on what type of investments you can make in real estate, so it’s up to you to learn the rules and make great returns! If you don’t like earning 1% or even losing money in your IRA, consider setting up a “self-directed real estate IRA”. 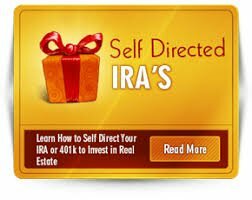 For more information on how to set up a “self-directed real estate IRA”, please contact us at 303-398-7032 or click on the CONTACT US link above. 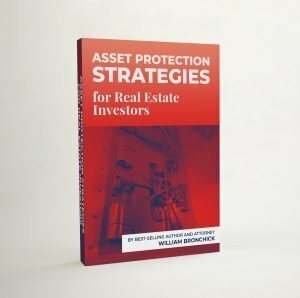 Free eBook on how to protect your assets! Click Here.